Or view larger version. 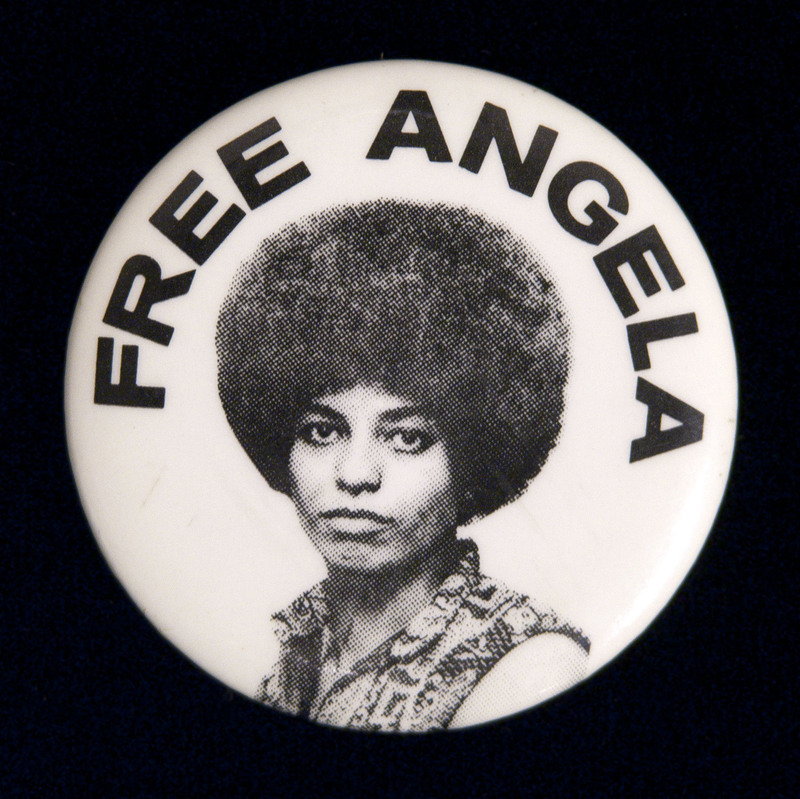 Button bearing black and white photolithographic image of Angela Davis and words ‘Free Angela’. ca. 1970. Unknown photographer. Political button. Collection of Oakland Museum of California. This is a photograph of a political button showing Angela Davis with the words, “Free Angela,” over her head. In 1971 Ms. Davis was arrested for helping prisoner George Jackson flee a Marin County courtroom. She served 16 months in jail. Today, she is a retired professor of philosophy from the University of California, Santa Cruz.